The Gatineau Olympiques are proud to announce that they’ll team up with the A&W Restaurants in Gatineau for the 10th edition of the Burgers to Beat MS Day, on Thursday, August 16. Throughout the day, A&W will donate $2 to the Multiple Sclerosis Society of Canada from every Teen Burger sold across Canada. Since 2009, the Burgers to Beat MS campaign has raised more than $11 million, making it the single largest annual corporate fundraiser for the MS Society of Canada. 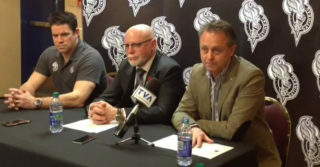 In what will be another step in their growing involvement in the community in the Gatineau region, the Olympiques will make not one, but two appearances on this special day. 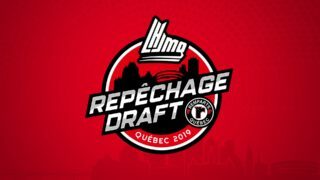 To kick things off, the team will be at the Masson-Angers’ A&W location from noon to 1:30 PM, before heading to the Montee Paiement restaurant between 5:30 PM to 7:00 PM. 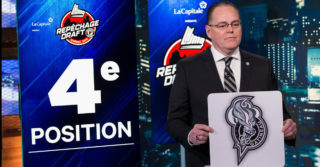 Players from the Olympiques and the team’s mascot Hully will be there to greet their fans and to sale some items, which all proceeds will go to the MS Society of Canada.